This. 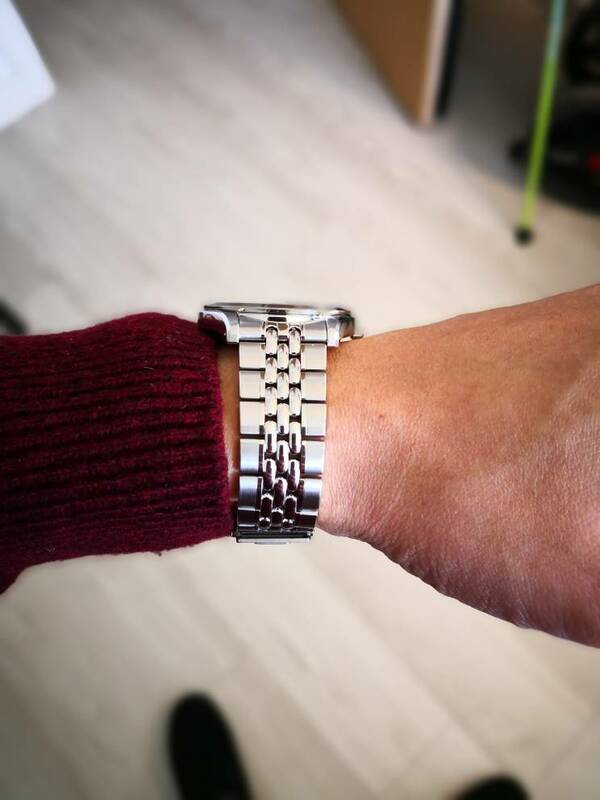 Some of the GS models come too close to aping Rolex models (see SBGX061), but I am worried that if the model pictured above is anything to go on GS are determined to 'Westernise' and in the process lose all their subtle charms (see SBGX009). I’m looking at my SBGX009 now, and don’t feel that these “subtle charmers” will be lost. Yes, GS design seems to think that RoW is populated by silverback gorillas, and designs accordingly, but I don’t think they’ll stop the good stuff anytime soon... and there are plenty of routes to get hold of the JDM stuff. 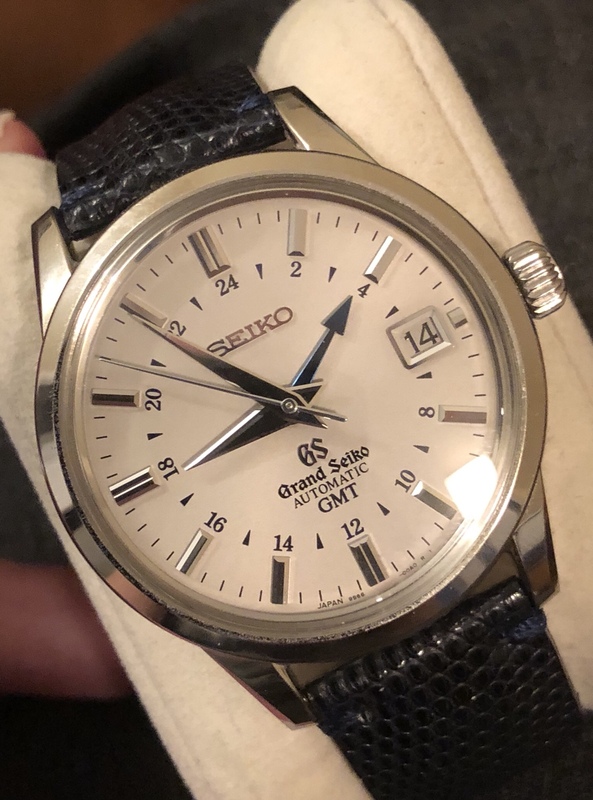 I've been without a 9F for a few weeks but finally got hold of my SBGT241 limited edition 25th anniversary quartz today. It's 39mm so larger than usual for a 9F83, but I'm pleased it fits superbly. The beads of rice bracelet now properly sized (very tricky as there's 7 pieces, and have both screws and collar) is surprisingly comfortable too. 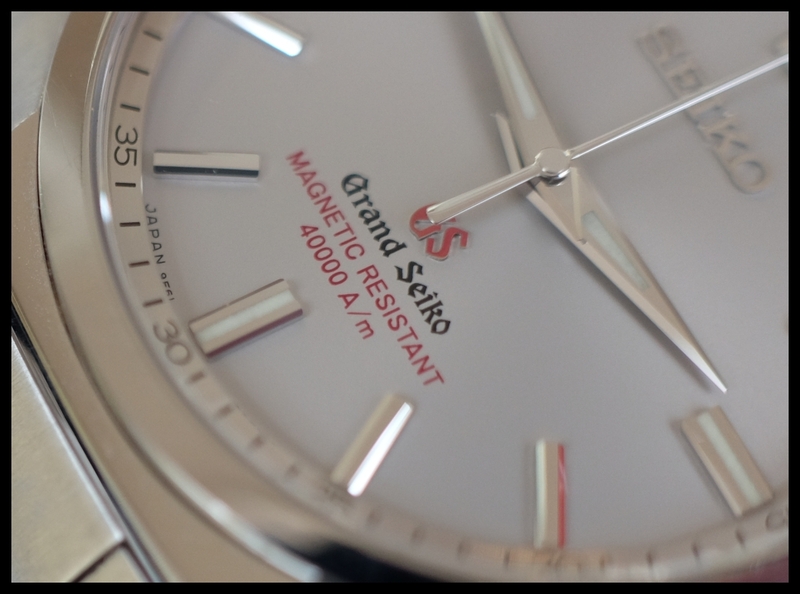 Overall love the fine details of the dial and batons which I'll try to take macro pictures of. 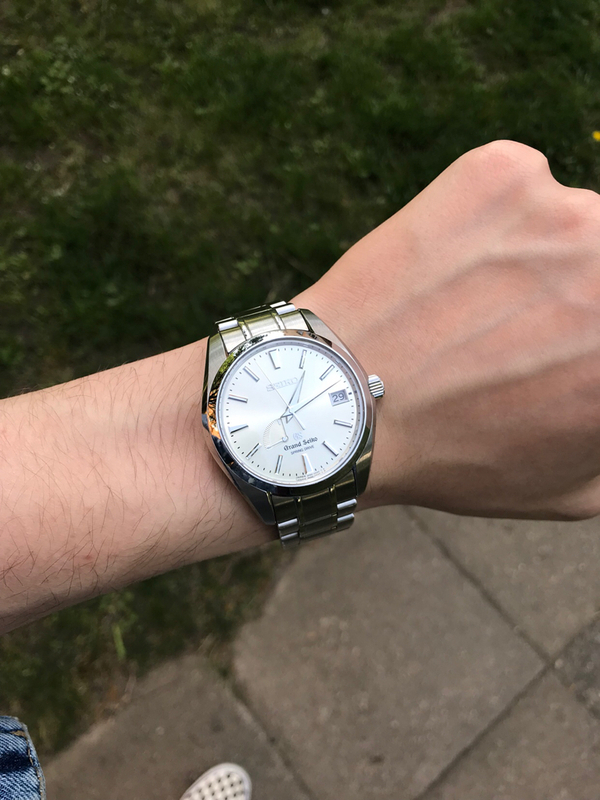 Here's a few to show off the watch for now. I'm pleased to see that you have it now, it looks amazing. Great thread. 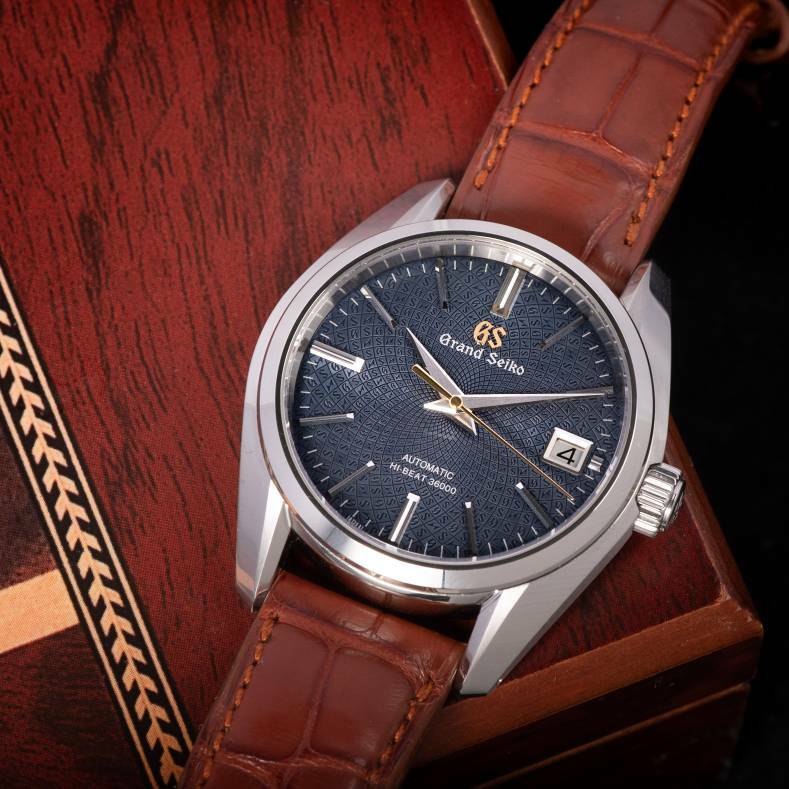 I'm not a Seiko fan but these look really good. A whole thread and not an Arabic dial anywhere - excellent. 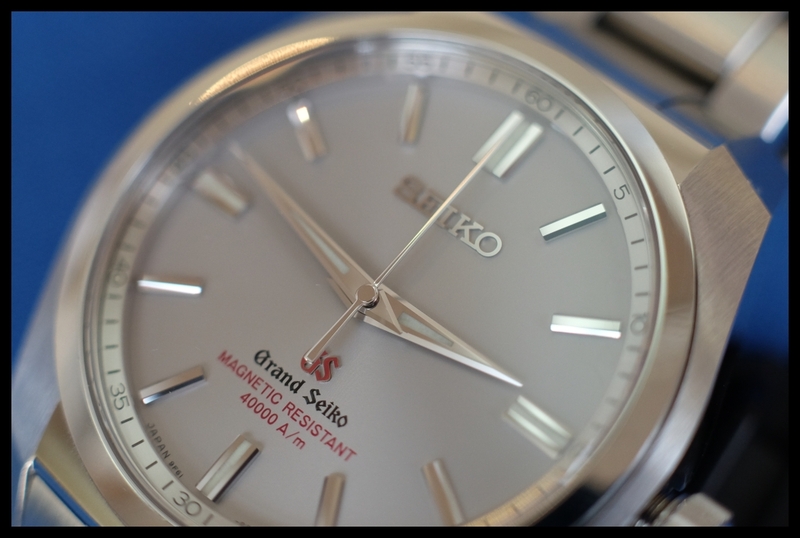 The amazing detail of Grand Seiko is showcased here at the 12 o' clock marker. Polished to an extreme mirror finish, the aptly named "Kit Kat" baton is already impressive, but what is truly astounding is that atop each and every baton sits a raised platform just above the chamfered edges. This means each baton effectively comprises 13 highly reflective faces - and results in a very legible dial even in a low light environment. Impressive detail, I can tell you really love this one. LOL indeed! Not too happy with the pictures though.. Quite difficult to get a good closeup macro shot. Time I got some proper lenses! Even so, you can really see the detail and the work thats gone into it. 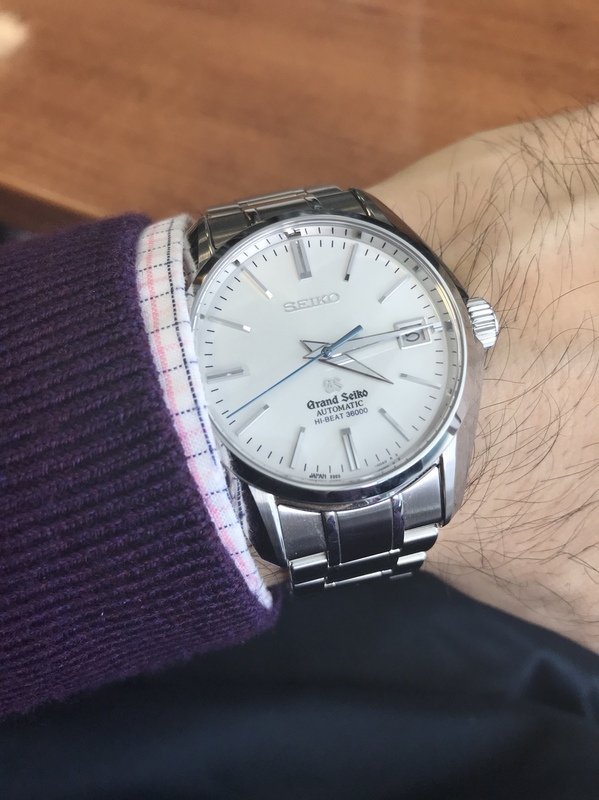 I did reserve a 241 through Jura; but I changed my mind because I end-up wearing mechanical watches. Wonder if I did the right thing....that bracelet is great. 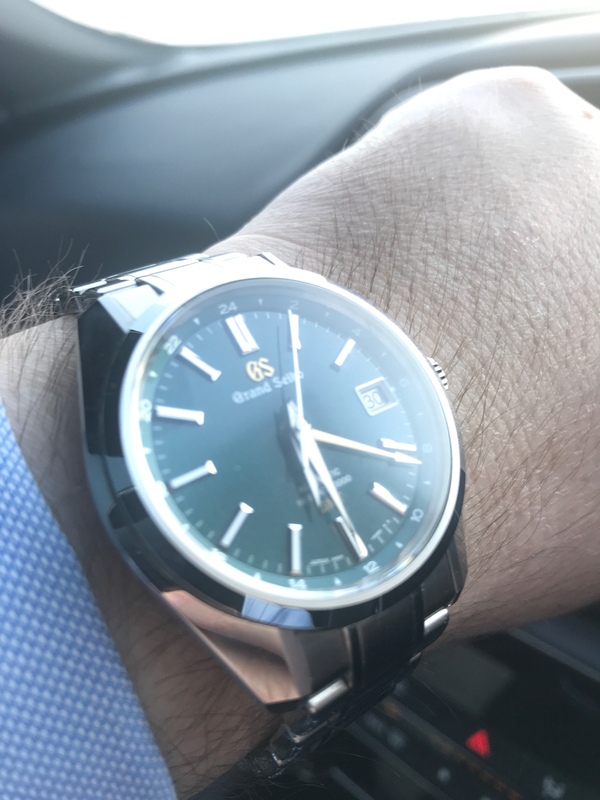 Latest addition, the SBGH267. Marvellous dial and very nicely shaped case. Looks good on that strap. Stunner! Congrats on the pickup. New to me. Well received it last week. But only got around to wearing it the last few days. The Blue hand does give it that something extra. 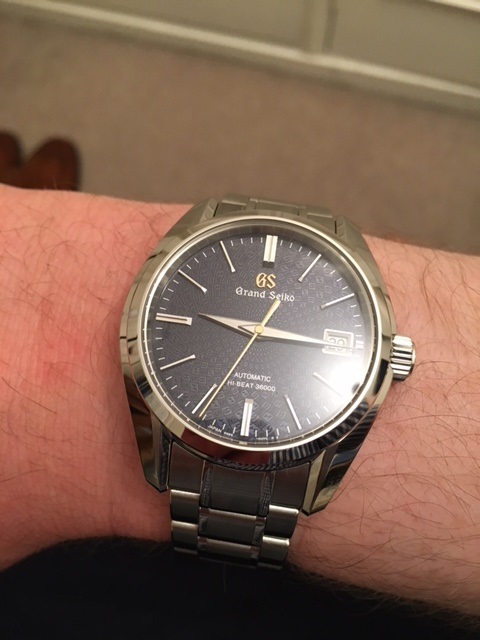 I'm going to have to get another GS, but it'll mean something like my Tudor BB 36 will have to go. That is flippin’ amazing! Just awesome. 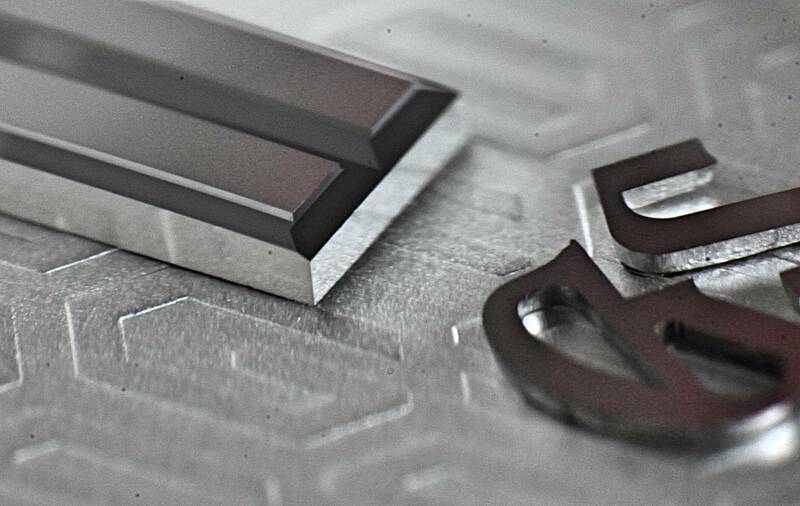 GS continue to innovate dials that defy description from finish to colour. 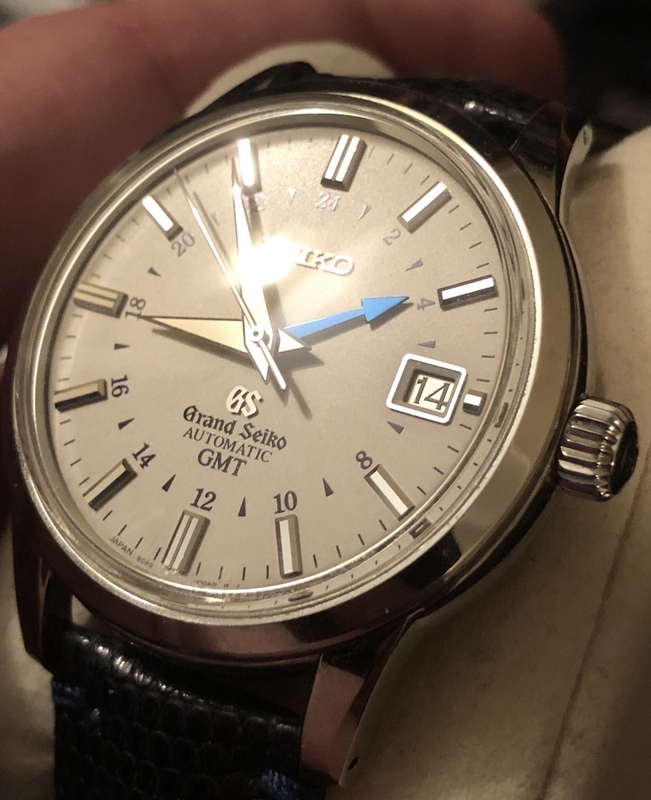 It's striking to me how much these up-to-date designs from GS echo the original design of the first , manual wind, designs in the early sixties. 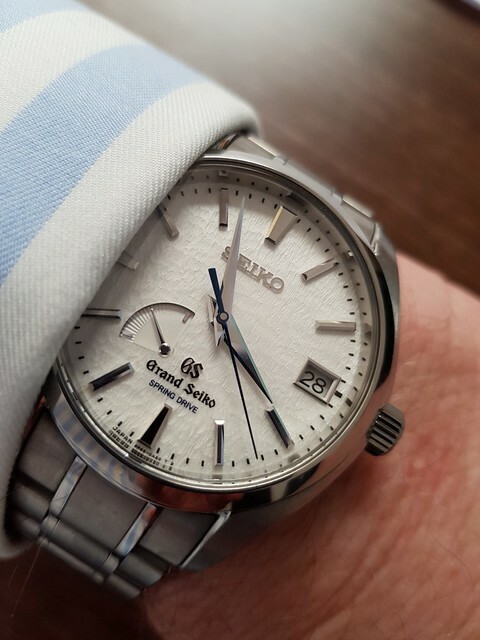 Grand Seiko have been true to their heritage. 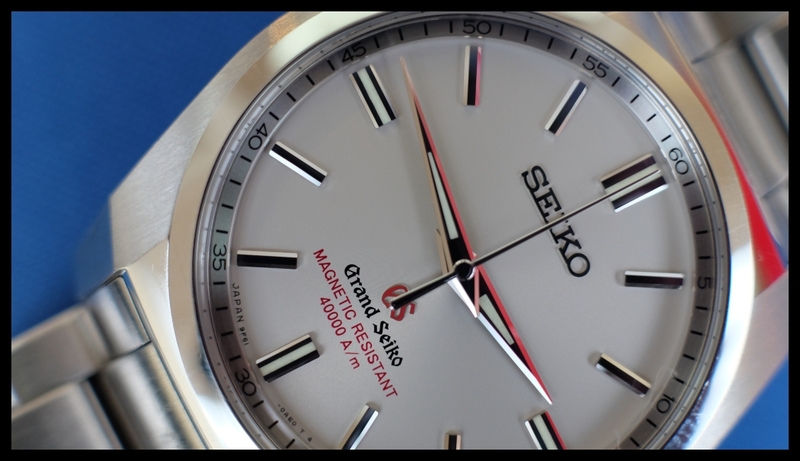 This recent re-issue, 253, is slightly larger at 38mm, but otherwise a very close clone of the sixties watch. It shows how 'classic',the basic design language is. Beautifully slim lugs; that's the way to do it. Last edited by paskinner; 20th April 2018 at 12:28. 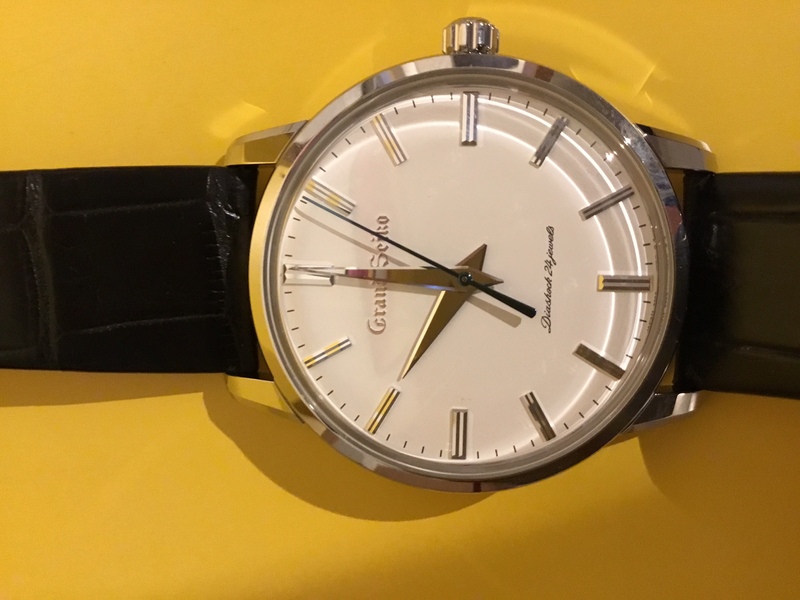 I am smitten with my Snowflake, so much so that I am considering selling it for a GS Chronograph with white dial SBGC001 or similar. 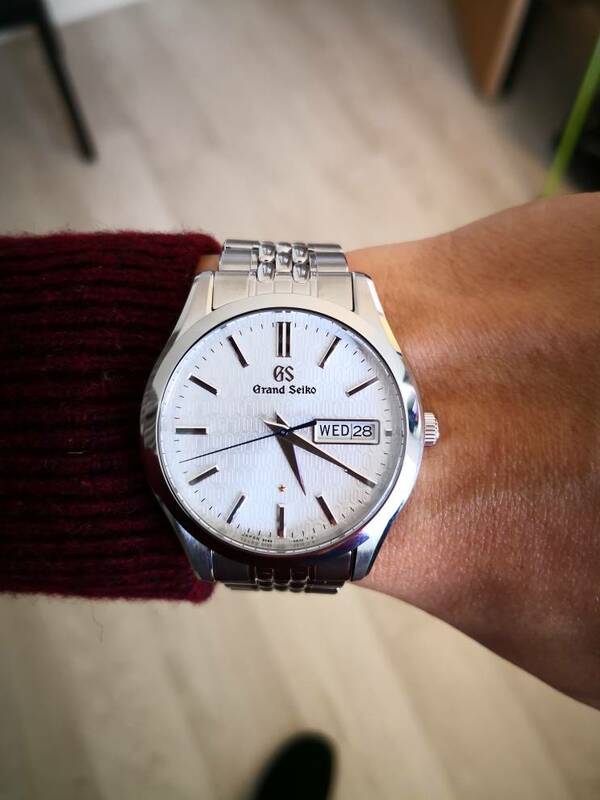 I love the quality of the GS and as a chrono man at heart, it makes sense. 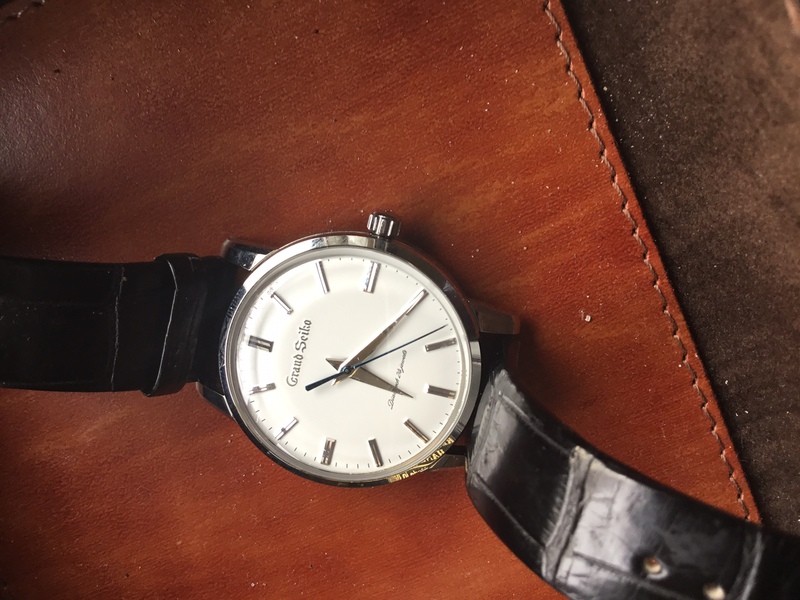 There aren't many chronos posted on this thread, has anyone made the switch and able to offer their opinions on this watch? I am yet to find one in a shop for a closer look. 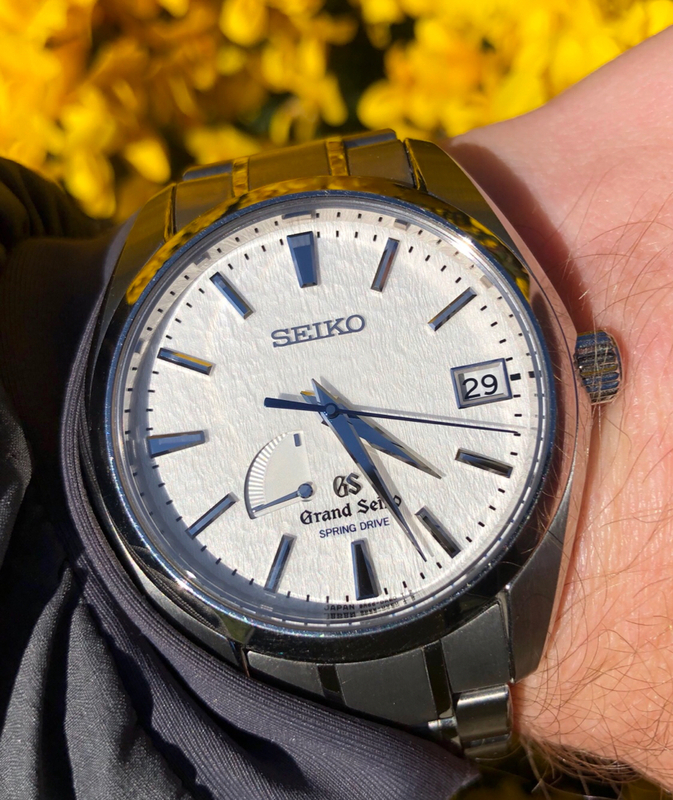 There’s a bewildering array of Grand Seiko in the London boutique, far more than I expected. Worth a visit but you may come out more confused than before - I hadn’t appreciated quite how many variations on a theme there are! Thanks Ant, thats good to know. 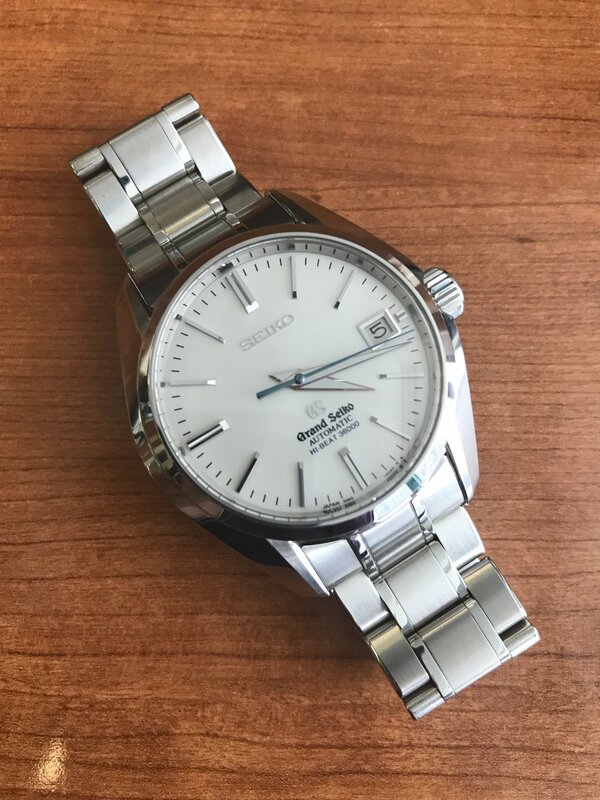 I searched on the Seiko site after your post and it seems like London is the only place in the UK I can view GS. Unfortunately, I have no reason to be in London any time soon. 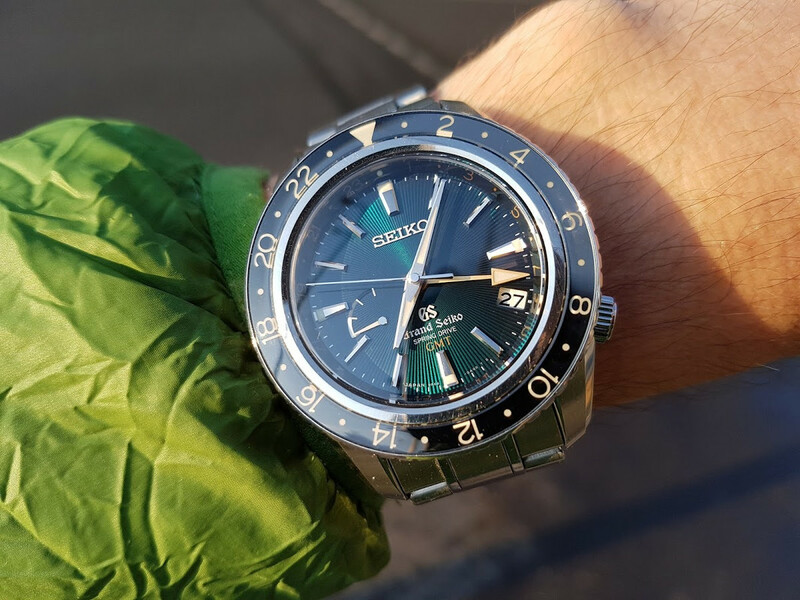 I agree there does seem to be a myrad of choices, seems to the Seiko way. 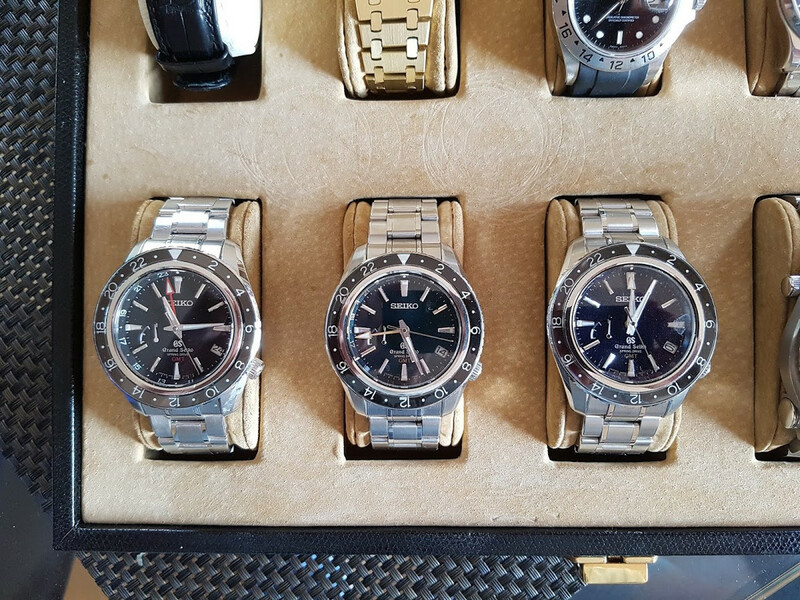 Looks like a dealer has sold them a job lot of old style Seiko first dials. And all made by skill, not automated machines. In case you have missed that crazy detail. Enjoying the Snowflake out in the sunshine. 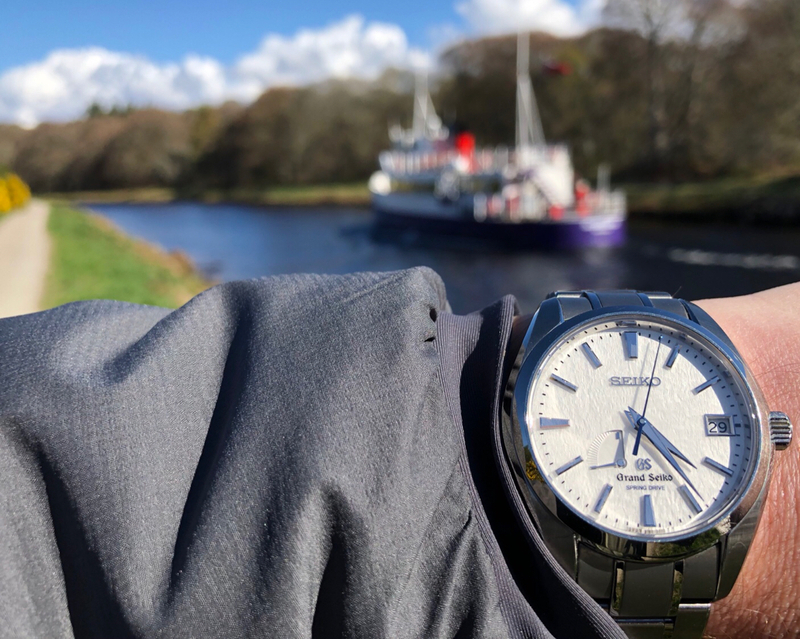 Suns not out yet to capture the dial! Left to right: SBGE001 (black dial), SBGE021 (green dial, limited 150 pieces) and SBGE029 (blue dial, limited 100 pieces). The crazyness of this hobby in one picture. 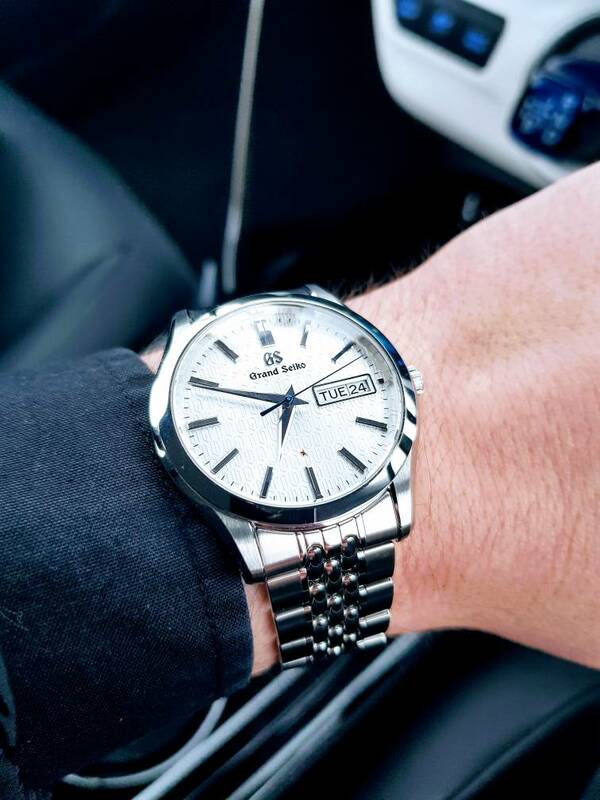 Is there a more perfectly detailed watch for the money! 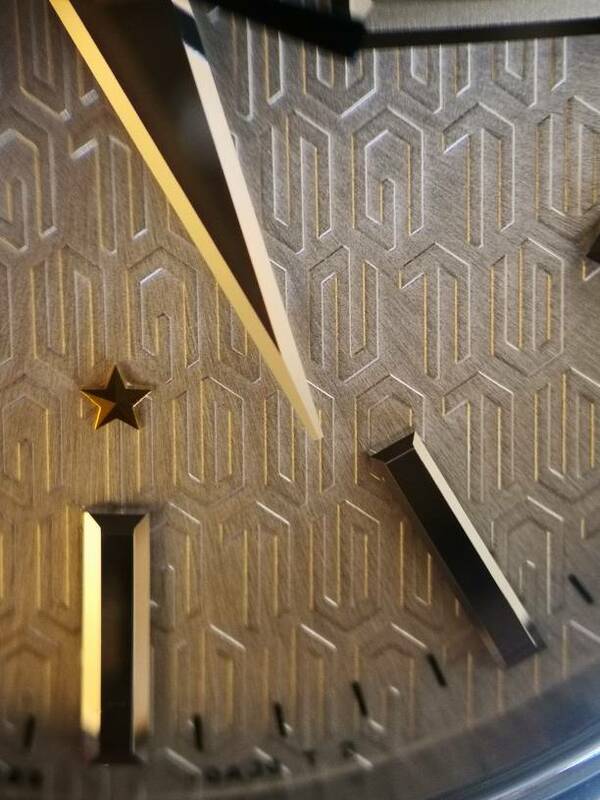 The macro shots of the details on the hour markers just show the level GS are, amazing.